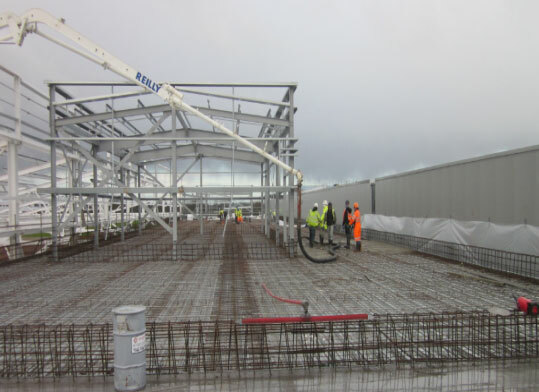 Scope: Full groundworks package to build the new engine manufacturing facility involving extensive external and foundation works. Extensive de-rocking of sandstone ground. Over 600 large reinforced foundations and associated ground beams. 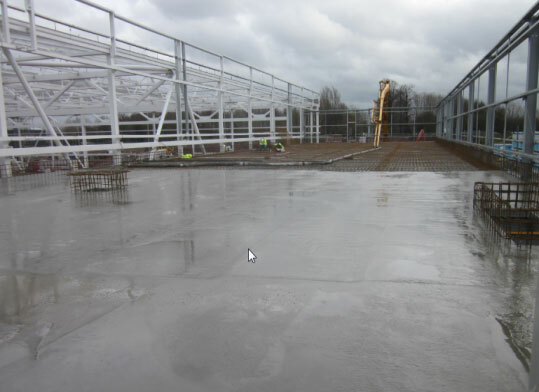 3,500m² Ground floor concrete slabs. 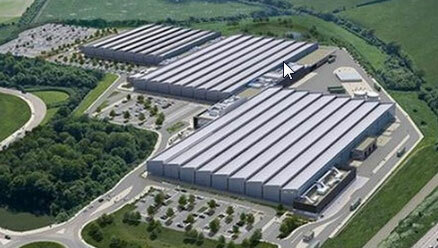 8,000 Roof slabs and mezzanine decks. 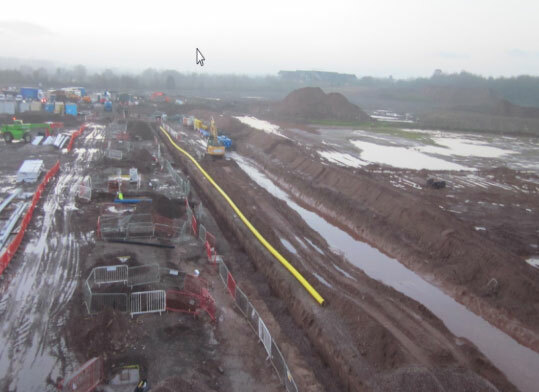 Foul and surface water drainage systems up to 6m deep, with pipes varying in size from 100mm up to 1,200mm diameter, and manholes up to 4m diameter. Excavation and installation of 3 large oil interceptors. Installation of 74,000 litre rainwater harvesting tank. 3 large bentomat lined attenuation ponds. 240 linear metres of gabion walling, and 175m of criblock walling, both to 3.7m high. Installation of rapid stack duct box system to facilitate installation of communications, data, HV / LV cabling etc.